Just from the flavor descriptions, I knew which limited edition Snicker's I would like and which ones I wouldn't. I love a salty caramel and know it's super trendy right now and oversaturated in the market but I'm not burned out on it yet. Salty and sweet is almost invariably tasty. 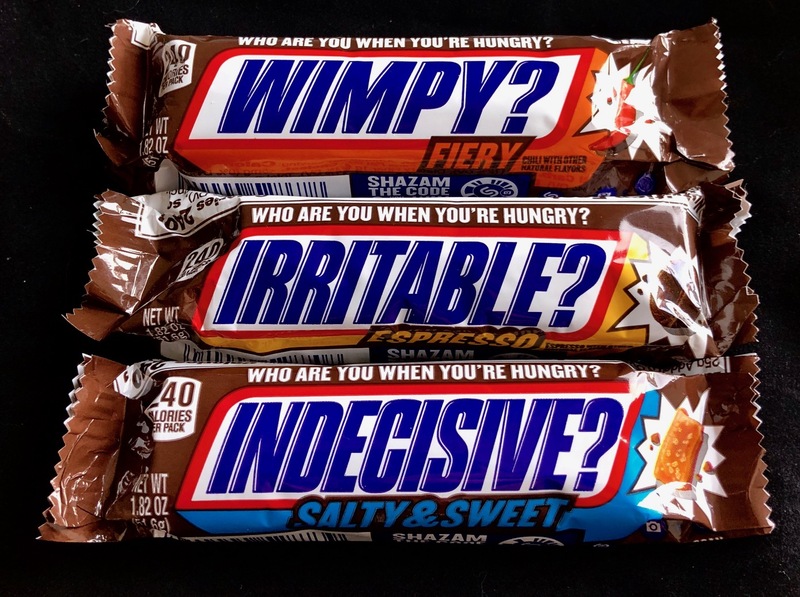 The Salty & Sweet "Indecisive" Snicker's includes a salted caramel flavor infused into the traditional nougat layer. I liked it a lot. Taste tester Ben proclaimed it even better than the classic Snicker's. Big Win. The Espresso "Irritable" bar was pretty tasty, too, with an espresso-flavored layer of nougat. The espresso tastes pretty artificial, and I think a milk coffee flavor might blend better with the peanuts and chocolate than a strong espresso. The bar disappeared pretty quickly, though. No one really liked the Fiery "Wimpy" bar with its hot peppery infused nougat. Ick. We're all burned out on the spicy chocolate trend and I didn't like it that much to begin with. The Espresso and Salty & Sweet Snicker's are definitely worth a try while they're on the market--a novelty worth testing. Skip the "Wimpy" bar, though. How do I sign up to be a taste tester?? ?